Splendid Wake-up: Poetry Workshops Born During the “Poetry and The National Conscience” Conferences. Poetry Workshops Born During the “Poetry and The National Conscience” Conferences. I started writing poems in a serious way in 1965, and it was a lonely business. I used my husband’s study when he was at work, and showed him what I had written. Nobody else. There was nobody else to show. I don’t think I realized then that real poets existed, certainly not near Rockville Maryland where I lived. I didn’t consider myself a real poet either, just someone who wrote poems. Then one day I saw a small ad in the Washington Post, I think it was. A new magazine called Dryad was looking for poems, and it existed locally. I sent poems; Merrill Leffler the editor of Dryad accepted them; and suddenly I had an actual local contact. It must have been through Merrill that I learned about Poetry and the National Conscience at the University of Maryland. Rod Jellema had organized the conference and the one that followed in l969. I will never forget the sight of Robert Bly in a long black cape, sailing down the aisle to the stage. This was poetry!. It was at that conference that I met an array of poets, many of whom are still my friends. Soon the nucleus of a workshop had formed. Rod himself; Ann Darr (beautiful ex pilot – WASP which stood for Women’s Airforce Servie Pilots) during the second world war, who came from a small town in Iowa and from sheer will and intelligence reinvented herself: Siv Cedering or Siv Fox, as she then called herself; Eddy Gold and Bill Holland, both students of Rod’s—young and full of moxie; Myra Sklarew (who is the force behind this conference); Alan Austin (whose black box was the first or one of the first audio magazines); Roland Flint—our great and I think underappreciated poet; Gary Sange; Primus St John ( poet laureate of Oregon;) Bill Claire; Margaret Gibson; Lisa Ritchie (who has also been a big part of this conference and was part of the workshop for its last few years); Ralph Robin (who I remember as a deceptively shy and quiet looking man) ; Michael Collier (teacher at Maryland and now director of the Bread Loaf Writer’s Conference who visited it many times. Occasional others. Thus we bounced poems off each other and were inspired to write still more poems, though we never imitated each other’s actual styles, and thus a community of poets was formed in the Washington area. I think of other artist’s groups… The German expressionists: Kandinsky and his lover the artist Gabriele Munter, and Franz Marc, and Jawlensky. The impressionists-Gauguin and Van Gogh painting together and arguing about art in Arles. Such communities of artists inspire real work in each other. So many years later, I still workshop poems but with just a handful of friends now, often over lunch, and we critique each others work fiercely but gently, if fierce gentleness is not an oxymoron. “Workshop” has become a verb. Workshops have sprouted up everywhere: in colleges, in writer’s conferences, and as with us, in people’s homes. I only hope some of them are as inspiring and useful, as memorable as ours was. Note: On March 20, 2015 at the Splendid Wake 3, Linda Pastan gave this talk on Poetry Workshops Born During the “Poetry and The National Conscience” Conferences. 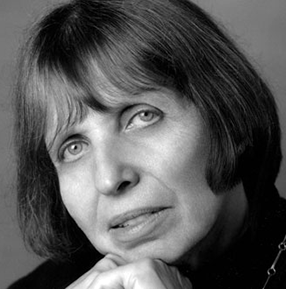 Linda Pastan is the author of thirteen books of poetry including Queen of a Queen of a Rainy Country, Traveling Light, and the forthcoming Insomnia. Her remarks were followed by Rod Jellema who also participated in these workshops. Rod said 60 poetry books grew out of this particular community of poets in the D.C. area.